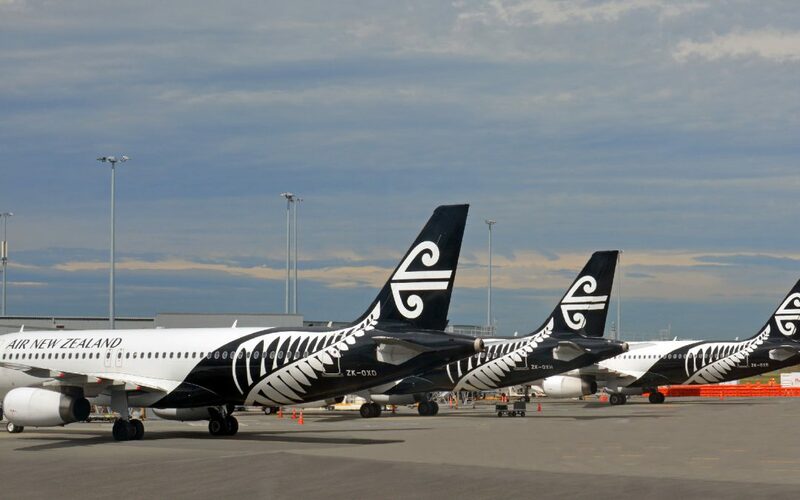 Have you ever noticed how Air New Zealand, once we’re all crammed into the cabin and ready to go, takes great delight in telling us about the various awards they’ve won recently? But business is about outcomes, not awards. I refer to this because I find our national carrier to have multiple personalities when it comes to the attitude it presents to me, as a customer. Sometimes they are caring people who go out of their way to help me. Other times, and sadly more often than not, they seem not to give a damn. In the last two months, I’ve had three experiences that leave me wondering about which Air New Zealand will turn up for my next flight. My wife and I spent a weekend in Blenheim recently. We travelled there for a bike race and of course, we flew with our national carrier. We had a most enjoyable weekend, but unfortunately our trip home was marred by the inconvenience that only lost baggage can bring. The flight from Blenheim to Auckland takes about 75 minutes. On landing it took about 45 minutes for the luggage from our flight to appear. We had two bikes and one bag came out with the rest of the passenger luggage. But there was one bag still to come. An hour after landing we remained at the baggage carousel, short of a bag. There were a couple of our fellow travellers waiting alongside us. One was stressing about his $10,000 bike that hadn’t turned up. The other was, like us, expecting a bag. Between us, we collected our incomplete luggage and placed ourselves at the mercy of the person whose job that day was to occupy the “baggage enquiries” counter. Unfortunately, after displaying a genuine lack of interest in our collective predicament, she advised us that she had “no idea where our bags were”. However, she took our contact details and advised us to go home and wait for a call. Before leaving the airport we decided to make a final pass through the drop zone, and stop to check the luggage carousel one more time. Sure enough, the missing bag came out just as we returned. Exactly an hour and 40 minutes after our flight had landed. I thought that we might have an interesting conversation in a couple of days’ time, when Air New Zealand called to advise that they hadn’t yet found our bag. However, I shouldn’t have worried, because no one called. No follow up. No apology. No concern. Nothing. A couple of weeks later, three days before I was due to fly to Christchurch, I received a text message advising that my flight from Auckland to Christchurch had been cancelled. That’s ok, I thought, changes happen. However, there were no further instructions from Air New Zealand. Nothing about refunds or where to call to re-book. Just an assumption, I suppose, that I didn’t really need to go to Christchurch and that I would be happy to forgo the prepaid flight cost. So, a phone call, a long wait listening to messages telling me how important my call was, an explanation and a new booking followed, but only at my proactive request. And incidentally, I could no longer fly direct to Christchurch, but I would be able to arrive there at the same time, provided I leave Auckland an hour earlier and stopover in Wellington on the way. No apology. My problem. Tough luck. Ultimately my flight to Christchurch was uneventful, except for one thing … I left a file on the plane. Nothing particularly confidential, and mostly comprising emails which, of course, were easily re-printed. The following day I received a text message from a member of the Air New Zealand cabin crew. She was in Houston, Texas, with the plane that had flown me to Christchurch. She had found the missing file and advised me that she would post it once she returned to New Zealand. I gave her a mailing address and she returned the file and sent me a second SMS confirming she had done so. Brilliant. That’s more like it. The point of the story is this. In any business, we are only as good as our weakest link. My experiences at the hands of our apparently heavily awarded national carrier are mixed. The test of any organisation is what happens when things don’t go to plan. How do our systems hold up? How do our people respond? Unfortunately, in my Air New Zealand experience, the baggage people and the bookings team let the company down. It was left to a cabin crew member, stopping over in Texas, to save the airline’s reputation and restore my faith for the time being. Success in business is about delivering outcomes. The most important outcomes are about people, those who work for the organisation and those that they serve. In any business, the customer experience is only as good as the worst experience. The next time things go wrong at your business, think quickly about how you respond. You only get one chance to deliver a brilliant reaction.